FW 190A-8 landed on the island of Falster 4/5 1945. T/o ? Op: Escape from eastern front. 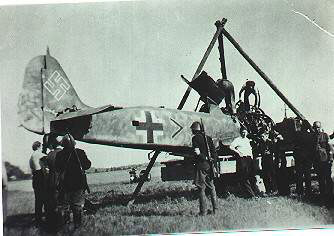 It is believed that the FW 190 came from the eastern front when it belly landed on the island of Falster.